The brand-new Japanese on-the-go food experience in Westfield White City. 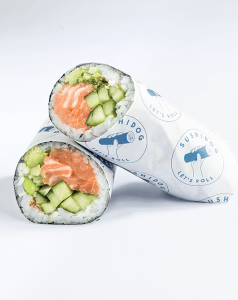 SushiDog offers made-to-order sushi burritos and poke bowls – perfect for foodies with a love for sushi, looking for something new and exciting. 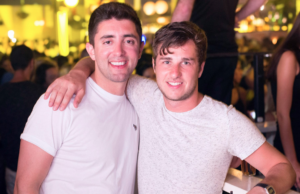 Lifelong friends, Greg and Nick are the co-founders of SushiDog. After struggling to find freshly made sushi that can be eaten on the go, they set out on a mission to create a young, fun brand that serves up sushi in a whole new way. SushiDog allows people to enjoy delicious made-to-order sushi rolls and bowls without having to come to a standstill. Whether it’s roll or bowl, they’re sure you’re going to love this convenience sushi brand that actually makes sushi, convenient. The concept is based around choosing between roll and bowl. You can go for a SushiDog roll – a delicious and freshly prepared sushi burrito – or a SushiDog bowl. Both options are filled with a combination of mouth-watering ingredient such as ahi tuna, burnt sweetcorn and avocado. We’re really excited about what the remainder of 2018 holds for SushiDog. We’re looking to expand quickly and already have some exciting growth plans. We expect to have our second store open by the end of 2018, which will continue our approach of targeting high footfall areas frequented by both shoppers and workers. Alongside the retail expansion, we’ve already started catering for business lunches around London with plans to expand this side of the business rapidly. We’re soon going to be focusing on providing complete bespoke packages for private and corporate events. 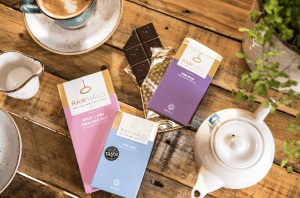 Raw Halo are fast becoming the go-to healthier chocolate brand across the UK. They produce a range of chocolate bars which are raw, organic, vegan friendly, gluten-free, and refined sugar free. 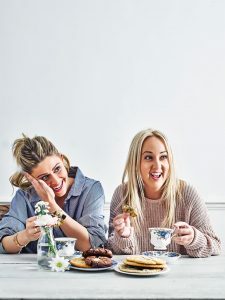 Since launching in 2015, they’ve experienced fast growth due to the growing demand for organic and dairy free products, and as such now boast over 1,000 stockists across the UK and beyond, stores such as Harrods, Selfridges, Ocado, Planet Organic and Whole Foods to name but a few. 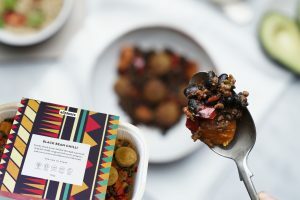 The brand aims to continue its growth across the UK with expected launches into other UK supermarkets (they recently launched into Morrison’s stores). Founder Meg commented “Our mission now is to bring our healthier chocolate to more and more consumers across the UK. We want to challenge the chocolate category and the sugar-filled chocolate brands with an innovative and exciting product”. Beyond the UK, the brand has growth plans to expand around the world. They recently launched into supermarkets in the Middle East and Australia, and will be targeting other regions in the coming years. 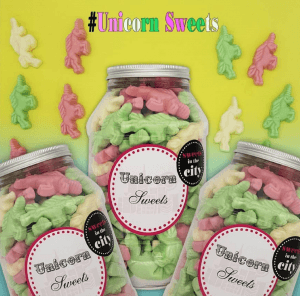 Sweets in the City sell beautifully packaged and personalisable sweet gifts online at www.sweetsinthecity.co.uk . We sell our core range of gift products through a range of fantastic stockists including Selfridges and Harrods and are launching a brand new set of ‘grab and go’ treats for personal consumption in early 2019, that will continue to have the premium taste and feel of our existing range. 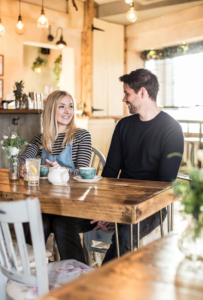 The company was launched by Sarah Lynn who partnered with Lord Sugar after winning The Apprentice in 2017. 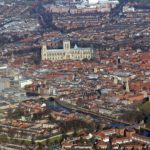 What are Sweets in the City’s growth plans for 2018? We have so many exciting things happening this year. As mentioned we are doing lots of NPD and developing a grab and go bag range that includes manufacturing our own product for the first time! Plans are also afoot to grow the corporate side of the business and the letterbox treats offer will be developed to include new designs, fills and limited editions. 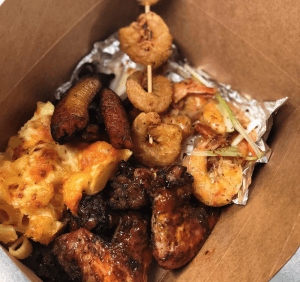 Juici Jerk is a new age Caribbean cuisine run by brothers Troy & Jarrell Johnson dedicated to reinventing how Caribbean food culture is perceived and removing the stigmas associated around typical Caribbean cuisines. We look to change the rules. Combining our British & Caribbean heritage with our love for food and cooking we aim to spread a new age taste of the Caribbean by offering a brand-new feel to Caribbean cuisine. We started JUICI in 2017 running a ‘delivery service’ from our mum’s house with a iphone 6, snapchat, my car and a love for cooking. Fast forward a year we are now operating on Ubereats & Deliveroo at a permanent address in Tooting, South West London with over 500 people tasting our food every month as well as attending a variety of festivals and street food events. At MISSFITS we aren’t your typical protein company. 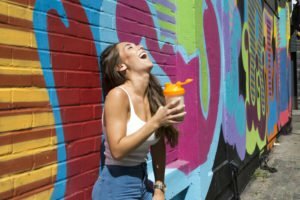 We aren’t all bodybuilders or gym junkies, but we still understand the power of protein to help keep your body strong and your mind sharp. That’s why we make great tasting, everyday protein products for women, to help you stay on top of your game, whether you’re working out or just working late. 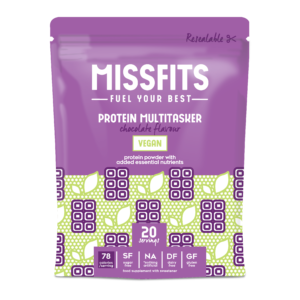 With all natural ingredients, no added sugar and just the right amount of high-quality protein, MISSFITS helps you #FuelYourBest day in and day out. We’re really excited for the future in retail, particularly with the Protein Wonderballs. We have gained national distribution for the balls and they launch into the convenience checkout points of a leading supermarket this September. We think the reason for this is our points of difference when it comes to our snacks. For every 1g of protein you take on with the Wonderballs you are consuming less sugars and calories to competitors. Other areas of growth are online and digital. With a new website launching August 2018 we’re excited to see month on month growth online building out our ever growing MISSFIT’s Nutrition community of women. The future is very exciting for MISSFITS after only going a short 2 years! I’m Harry and have had 10 years experience in sales and marketing. 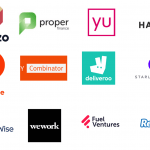 Before HOU I was working for Deliveroo, launching the business in the UK, Dubai and Sydney and then went on to launch their alcohol proposition. I looked to start HOU as I sadly have gout, so I cant eat rich foods anymore, I have a dangerous sweet tooth and love houmous. This lead to the thought of sweet houmous…. I approached Jake Finn, an old friend of mine from my teen years about the idea and the decision was not difficult for him to become my partner. Jake is an incredibly talented chef and has been training and cooking for 15 years. Jakes journey began at the Bournemouth and Poole catering college enrolling on a specialized chef scholarship. Since then he has continued to work at some of the most well known and prestigious establishments such as The Ritz, Le Petit Maison and Coya. In the next 3 months, we would like to be stocked at Whole Foods, Selfridges and Planet Organic and begin working with wholesalers such as Marigold. Towards the end of the year, we would like to be making progress with Waitrose, with the aim of being stocked in their various stores by Q1 2019. 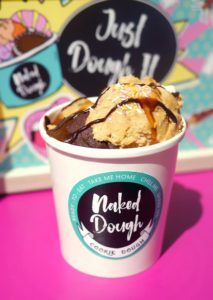 Inspired by trends we noticed in the United States, Naked Dough delivers ludicrously moreish, safe-to-eat, raw cookie dough treats to London and the UK. 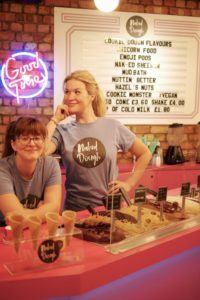 Started by two friends, Jen Henry and Hannah Adams, in Summer 2017, Naked Dough now has three permanent locations plus online ordering, and frequently ‘pops up’ at other locations and events (for example, Brighton Pride). We have worked hard to develop a strong identity and we connect regularly with our customer base via very active social media channels. Our growth plans for 2018 are already well underway. Since the start of 2018, we’ve ‘popped up’ in Top Shop Oxford Circus and featured on the hugely successful Million Pound Menu programme (BBC Two). Identification of potential new sites that really suit our brand and fit our core customer base was a big item on the plan for this year. In July, we opened our third permanent location at Camden Market, which is proving very successful already. 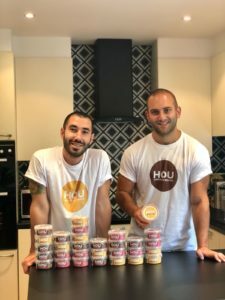 We’re also involved in continuous product development and plan to launch a gluten-free version of our ready-to-eat raw cookie dough imminently. We’re the UK’s first and only Milk & Cookie Bar. We launched our first permanent concession in Selfridges food hall nearly 1 year ago (Sept 14th 2017). Since then we’ve launched more pop ups and are currently in what we call, our little microshop at 1 Kingly Street in Soho. We’re popping up there until October 2018. Our menu consists of 8 freshly baked cookies, including a vegan and gluten free option. We hand roll, bake and finish every single one of our cookies using absolutely no machinery. We also sell raw edible cookie dough in tubs with a shot of milk for pouring over, our legendary Cookie Icon- 2 minis milk choc cookies sandwiched with our honeycomb & chocolate mousse and cereal milk in bottles. We were the first in the U.K. to sell bottled cereal milk, including Coco Pops and & Frosties flavours. We adapt our menu seasonally and have some amazing Christmas flavours coming this year! For 2018, we hope to spread milk & cookie love further and wider. We currently only deliver to London through our online store but plan to deliver nationwide by mid 2019! 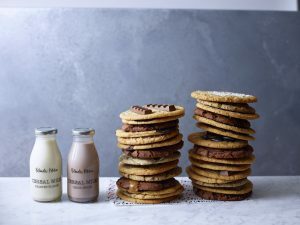 Our goal is to keep using the best possible ingredients and launch a wider range, including cookie wedding cakes for summer 2019. Allplants is a B-Corp aiming to become Earth’s most forward-thinking food company. 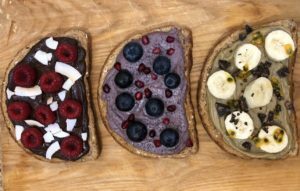 Allplants believe food is the bridge between people and planet, so put social impact first, while feeding the world delicious, plant-based food. Dishes including their Cashew Mac, Fiery Jerk Jackfruit, Lasagne Noci and BBQ Burrito Bowl, start from £4.99. Earlier this year, their Fiery Jerk Jackfruit and Smoky Soul Chilli won Great Taste Awards, proving that plants pack a punch. Switching to a plant-based diet is the most impactful way to reduce your environmental footprint and with only ¼ of Brits getting their 5-a-day, allplants are helping people and planet thrive. 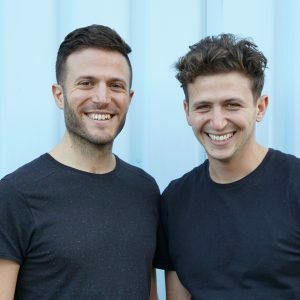 Allplants has developed a delivery service that makes it effortlessly easy to eat more plants: sending healthy, chef-made, vegan meals, straight to your kitchen. Allplants has now served over 250,000 meals nationwide to plant-inspired foodies. Over the next 12 months, allplants will develop a broader range of delicious ready-to-eat foods, accelerate the growth of its community, continue building a world class team, and expand the capacity of its production kitchen, which will operate off renewable and waste-created energy. 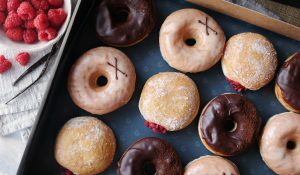 Crosstown is a London brand specialising in fresh handmade sourdough doughnuts and specialty coffee. 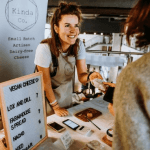 The business was founded in May 2014, launching as a market stall on London’s Leather Lane, and has since grown to several sites across central London. 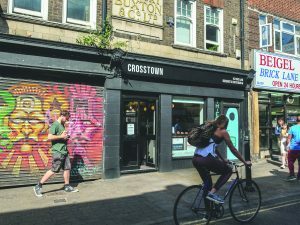 Crosstown is an independent business founded by JP Then and Adam Wills, the current directors who remain active in running the business. Looking ahead to 2019, we remain focused on growing our presence in central London across our target channels – these being retail shops, online, catering and select wholesale. Retail – There are a number of locations we would like to be in, and it’s a matter of finding the right space at the right price. We are always looking but we are also in no rush to expand too quickly. Online – We see this as a high growth area for the brand and are now offering same-day deliveries direct from our website, in parallel with marketplaces. We have invested into technology to create the ability to use our locations as an On-Demand E-Commerce Network. Although we are an SME that is still very young, we are developing a truly integrated omni-channel retailing experience that is scalable. We think it’s a really exciting time to be a brand online, even if our product only has a one-day shelf life! Catering – the enquiries for special events, corporate gifting and weddings/celebrations continue to grow. We are very proud that people use Crosstown as a premium vehicle to make an impression and satisfy tastebuds. Wholesale – although less of a focus compared to the other channels, wholesale plays an important part in our business, which is why we continue to work with the likes of Wholefoods, Air New Zealand (served on business class / premium economy for flights from London to LA) and many other operators who value our product and share the same target customer.